Keeping your WordPress site well-maintained will improve your SEO score dramatically. Most search engines keep tabs on how relevant the information on your site is. Factors include whether it is updated frequently, what your reviews are like, and whether there is a lot of outdated content that’s simply not useful anymore. To keep your WordPress site on the up and up, you need to perform regular maintenance checks. Also, having a well-maintained WordPress site will help improve SEO scores. Here’s what to do to keep your website updated. Though this is one of the most critical maintenance steps, it is often the most overlooked. Regular backups ensure that your content stays up to date and can go back online at a moment’s notice in case of some kind of failure or emergency. If you aren’t keeping good backups, then when the time comes that your site goes down for some inexplicable reason, you’re going to have to deal with way more downtime than you’d like. In addition, excessive downtime will cause your SEO rankings to plummet. In addition to making regular backups, you’ll want to also check regularly for updates. And nothing says SEO decline like having outdated software running on your site. Your core WordPress files should always be up to date with the latest version released. Checking whether you need to update is often as simple as logging into your WordPress admin page and seeing a reminder across the top of your dashboard. Also, you can access your version information by looking at your settings to determine whether an update is in order. Many themes are third-party hosted. So knowing whether you’re on the latest and greatest might take a few minutes of research into learning about the most recent version that your developer offers. And if your theme hasn’t been updated in quite a while and is showing its age, consider switching to something newer and nimbler. Similarly, plugins receive routine updates. But the information may not come directly to your dashboard like a core WordPress update. Take some time once a week or once a month to check through your plugins and ensure that everything is up to date. Additionally, if there’s something that apparently outdated or no longer supported by the version of WordPress that you’re running, delete or replace it to keep your site running smoothly. While your site’s security might not be the most obvious place to check for SEO ranking assistance, having a secure site is critical for maintaining your rank. One security breach could ruin your brand. Plus it can send your followers into a tizzy of negative reviews and poor rankings. Run regular scans to check for malware and ensure that your site is safe. If you detect something, tackle the problem right away to avoid any fallout from the breach. To further protect yourself from security hacks and breaches, consider using a security plugin or two that keeps your site safe from prying eyes. Secure transaction plugins give you the ability to protect consumer purchases from hacking. Regularly update your passwords to protect your WordPress site from a brute force attack. While this isn’t an obvious way to protect your SEO, it makes your security stronger. And updated passwords reduce the risk of a fall in rankings. Your content is most regularly going to be scanned to ensure your site’s validity in the eyes of search engines. Sites with irregularly updated content or irrelevant information will be pushed lower in SEO rankings. And these sites are replaced by sites with updated content. The first way to boost your SEO rankings almost immediately is to remove any and all 404 errors and broken links. Nothing shows that your site has been neglected like a blog post full of links to offline sites or removed pages. To ensure that your links and errors are always in tip-top shape, set a regular time to go through and check out your links for viability. If you find old and broken ones, just remove them and update your posts accordingly. Pretend you’re a new visitor to your site and try to poke around. Look at the blog page or set up an imaginary shopping cart. And do anything that you think your guests would most likely do. When you find kinks in your navigability, make some tweaks. Updates encourage visitors to check out your site and stick around for a while. Also, happy customers are more likely to use and share your site. And more traffic will help your rankings to improve. 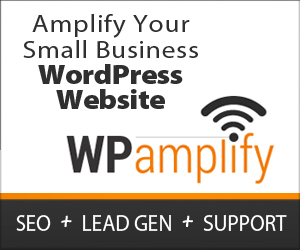 A WordPres marketing pro can help you with updates, plugins, and maintenance. Let an expert keep your website relevant and notable on the search engines.